Kick harnesses are a pain. Well they're not that bad but typically you have to wire each different one directly from the game board to the buttons. 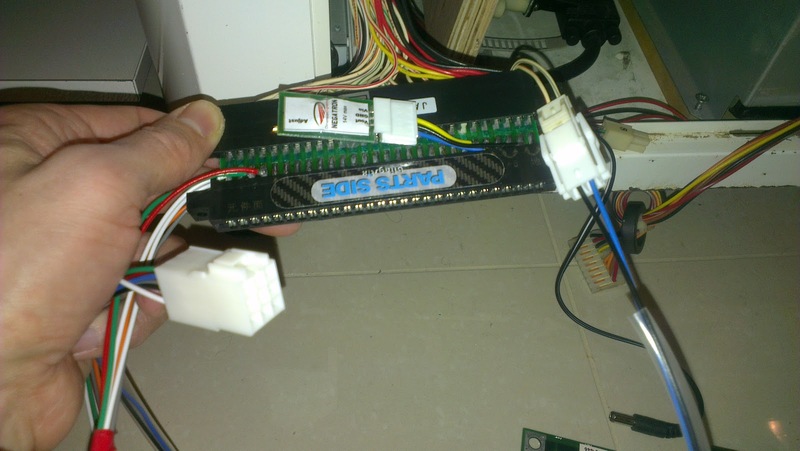 As that can be a job to trace the cables through the cab up to the control panel, several kick harnesses are often left connected to the extra buttons through a daisy chain. Messy. So instead, and courtesy of FrancoB I have a custom universal kick harness solution. The Atomiswave outputs buttons 4 and 5 for player 1 and 2 via the Jamma Harness. 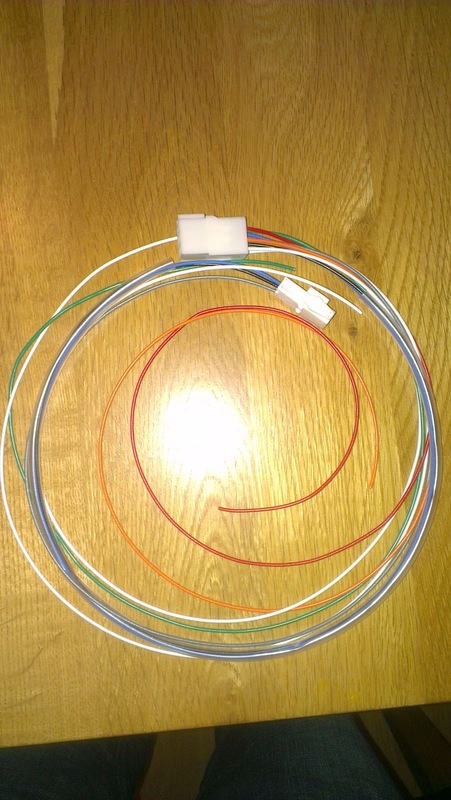 It sends button 6 down a separate cable, labelled S. What the universal harness does is connect wires to each of those. All the wires go back to a single connector, an AMP Up (I think). 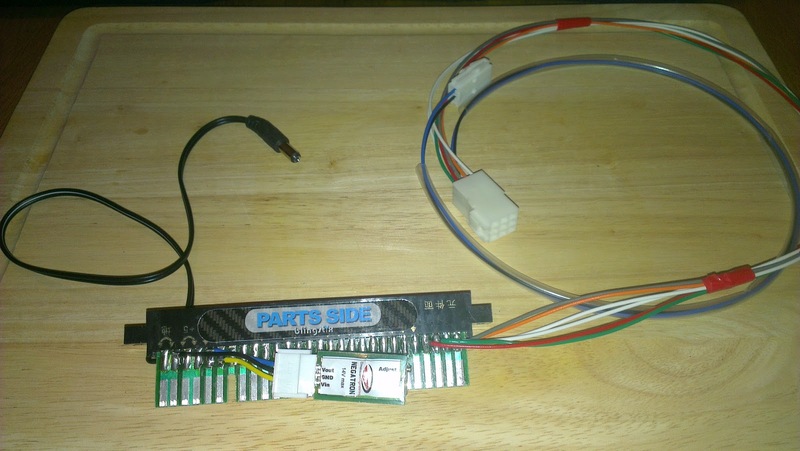 Then for each different type of kick harness I require, it is just a case of getting a cable that connects between the game board and the Amp Up. No more messing around with long lengths of cable running to the Control Panel. 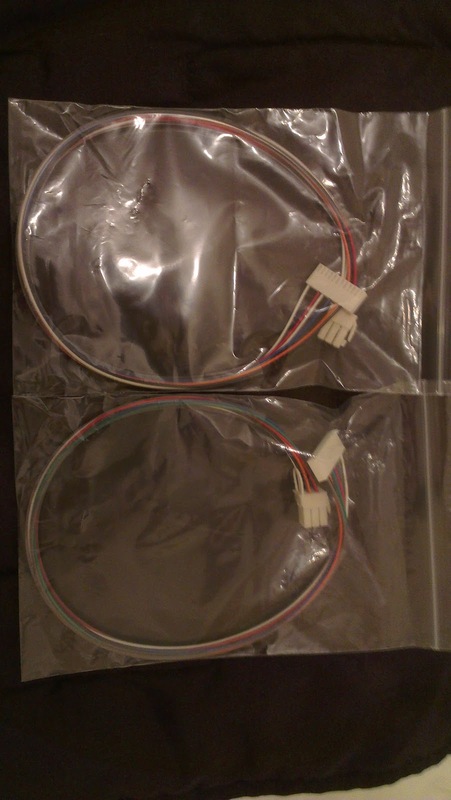 Below are the Mortal Kombat 1 and 2 cables I have gotten so far. Other obvious possibilities would include CPS1, CPS2 and JPac. 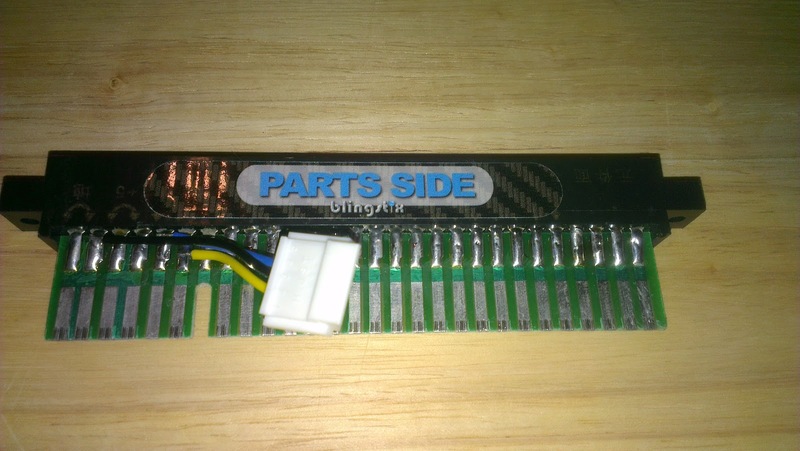 A Jamma pass through adapter is required to connect buttons 4 and 5. Franco can supply these but I already had one for my Negatron -5V. I also took the opportunity to wire up a power cable for an audio amp that needs 12V.